Classified » Home & Garden » Home Improvement » Stock Clearance Sale - Buy From Alaqsa Carpets & Save More!! Stock Clearance Sale - Buy From Alaqsa Carpets & Save More!! 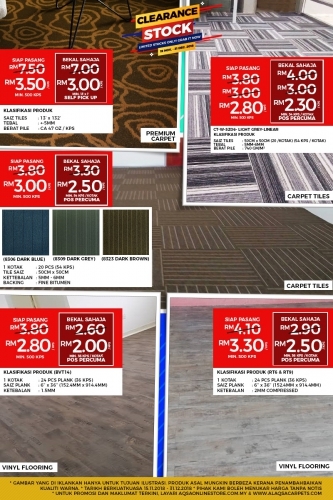 Premium Carpet Only From RM3/sf.